Peugeot is actually one of the oldest brands on the car market today even if at first they didn't exactly make cars. The Peugeot business started out as a pepper, salt and coffee grinder manufacturer in 1842 and the way it ended up making cars is quite interesting: from making steel rods for crinoline dresses, it turned to umbrella frames, then wire wheels which seemed only a natural step towards bicycles. And once there, it was only a short distance from cars at the turn of the century when personal transportation was right in the middle of a revolution. 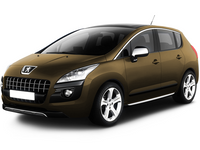 Now Peugeot has developed several new model ranges, outside the classic 200, 300, 400 and 600 series. The 100 and 900 are the exact opposite, with the 100 eyeing the super compact range while 900 is not for the budget shoppers. 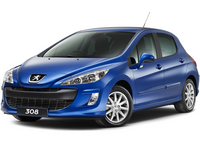 The French automaker has even a hybrid vehicle in the make, a version of the 307. The Peugeot 208 is a supermini (B-segment) produced by the French automaker Peugeot and unveiled at the Geneva Motor Show in March 2012. The first 208s were produced in 2011 at the company's new plant in Slovakia. 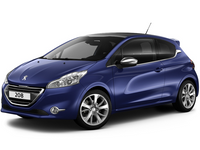 In June 2012, production of the 208 also commenced at Peugeot's French plants at Mulhouse and at Poissy. Despite its compact size, Peugeot’s small hatch is a huge car for the French marque. In fact, the outgoing 207 has held the mantle of number one in the premium light car segment in Australia, selling a little more than more than half of the market share in an eight-strong elite category.